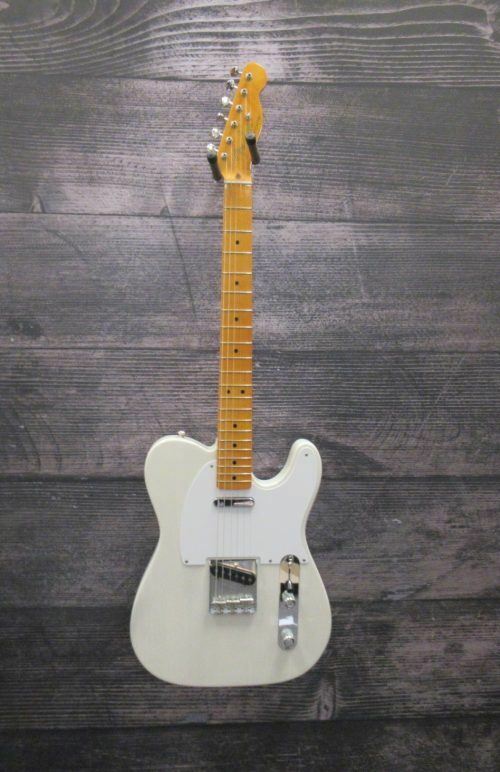 Gorgeous Fender Classic 50's Telecaster. Super nice ash body, modern C shape neck that is extremely comfortable, 3 saddle bridge. Two vintage single coil telecaster pickups and nice vintage style fender tuners. Guitar is in great shape, very minimal fret wear and comes with awesome fender tweed case. 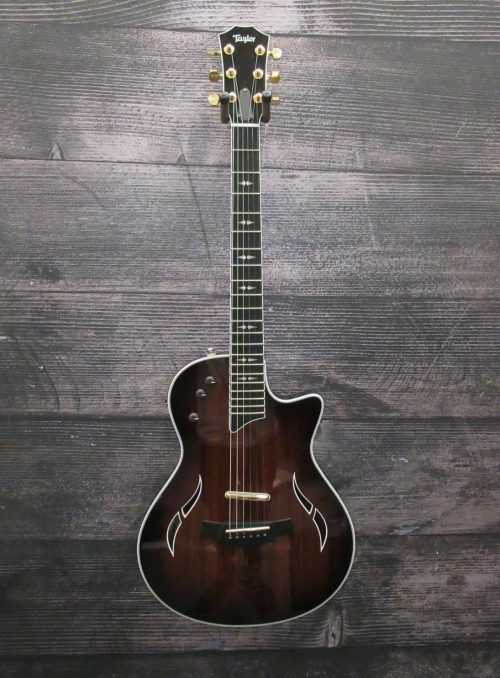 Koa top on this T5z Custom. Smaller body than the T5, a 12-inch fretboard radius, and jumbo frets, with minimal wear. Low action and plays great! Like the T5, the T5z is equipped with a three-pickups for the greatest mashup between acoustic and electric sounds. Also has white binding, gold hardware and Taylor's inlay scheme. The guitar comes with a T5z hardshell case. 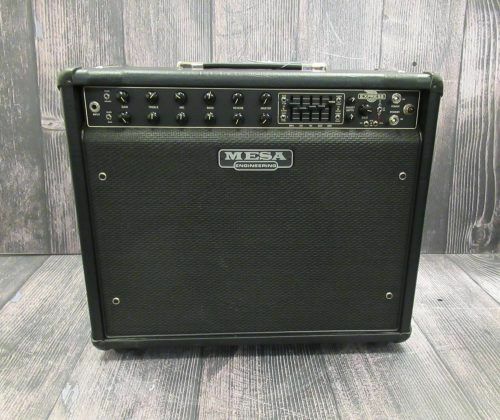 Clean Mesa express 5:50 1x12 combo with 8ohm celestion black shadow. 5, 25 and 50 watts available. 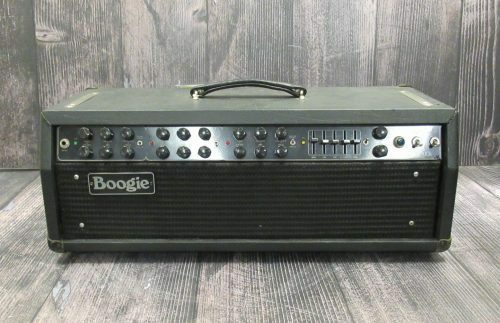 Comes with cover and footswitch. 2 channels with 4 modes made in Petaluma, CA. Graphic EQ with fx loop and foot switchable reverb. 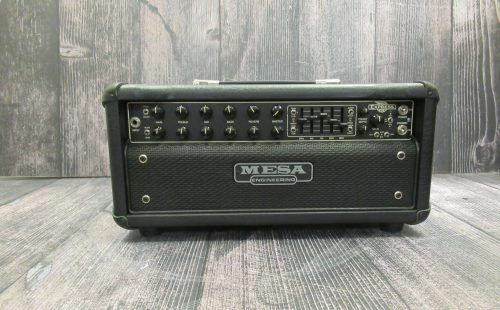 Really clean Mesa 5:25 express head! 5, 15 or 25 watt options available. 27 lbs, 2 channels with 4 modes made in Petaluma, CA. Graphic EQ with fx loop and foot switchable reverb. Comes with owners manual and original footswitch. 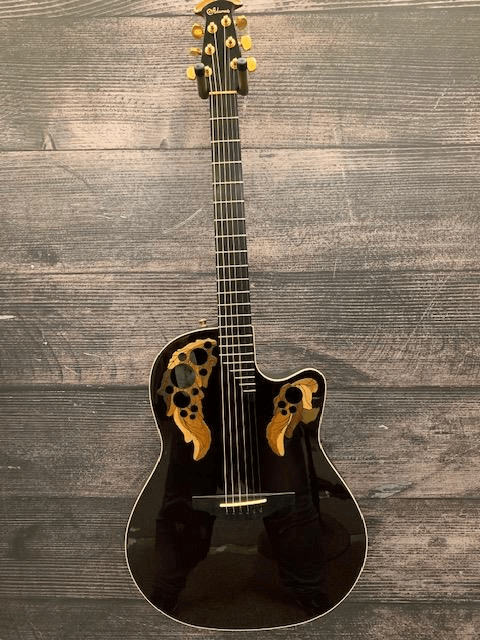 Nice Adamas 1597 made by Ovation! In good shape with minimal fret wear. Comes with hardshell case. 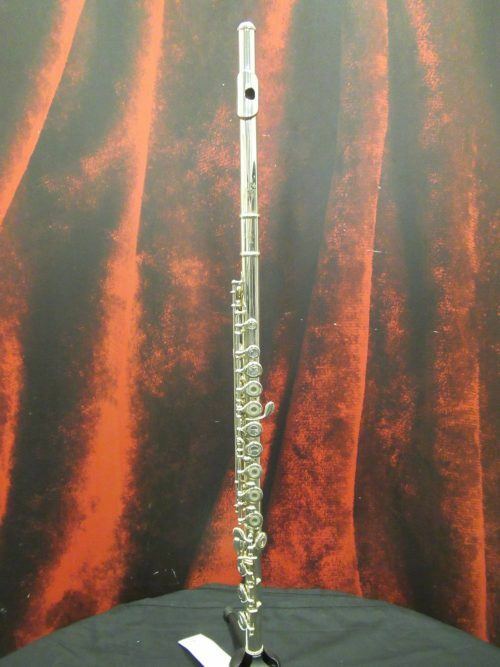 This Ida Maria Grassi silver plated alto saxophone was made in Italy. It is in good condition with some scratches and wear from normal use over the years, as shown in pictures. It has been checked out by our in-house repair tech and is play ready! 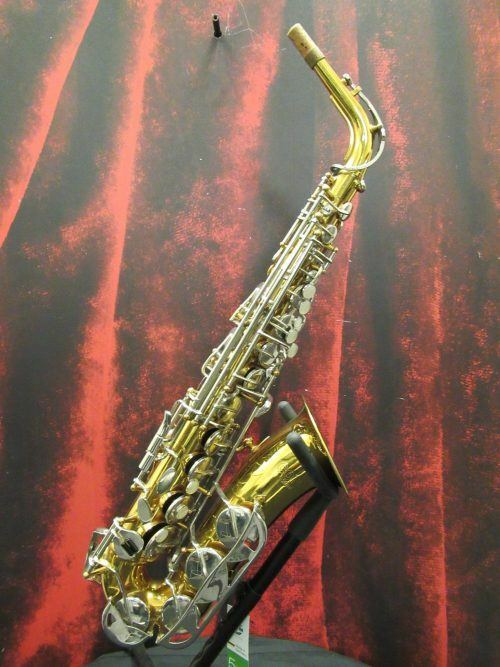 This saxophone is a great step up from your student horn or a unique addition to your collection. It comes with a polyfoam zip-up case. This Conn 20M alto saxophone is in good condition with some scratches, minor dents and wear due to normal use, as shown in pictures. Its pads are in good shape and has been checked out by our in-house repair tech. 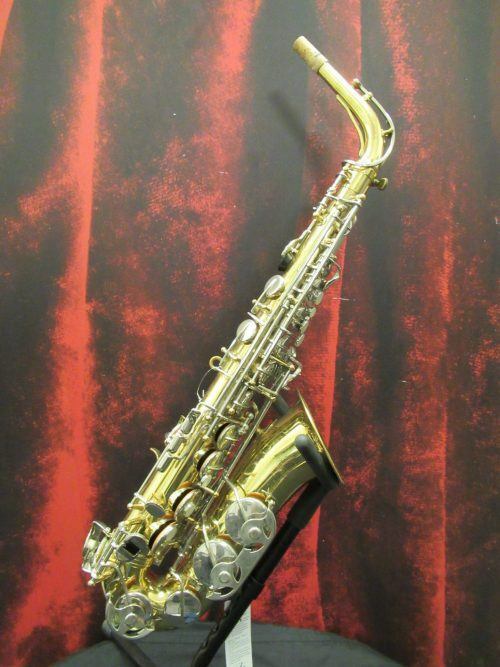 This saxophone is perfect for beginners or to use as a marching horn. It comes with a hard shell case and a mouthpiece. 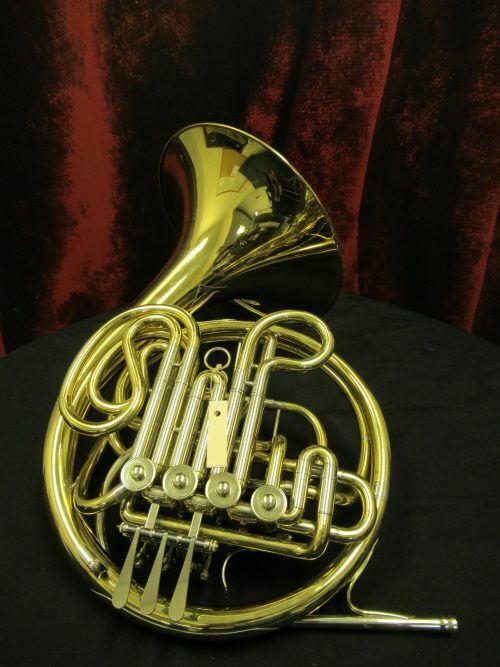 This Olds FH58 double french horn is in excellent condition with a few minor scratches due to normal use, as shown in pictures. It has been checked out by our in-house repair tech and is play ready! It's rotors are in great shape, plays smoothly and has great response. It comes with a hard shell case. 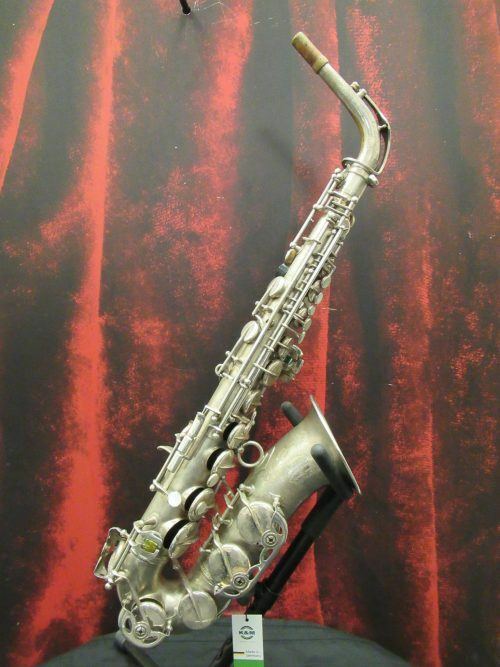 This Selmer AS300 is in great condition with some scratches and minor dents, as shown in pictures, that do not affect the sound or playability. Its pads are in great shape and it has been checked out by our in-house repair tech. 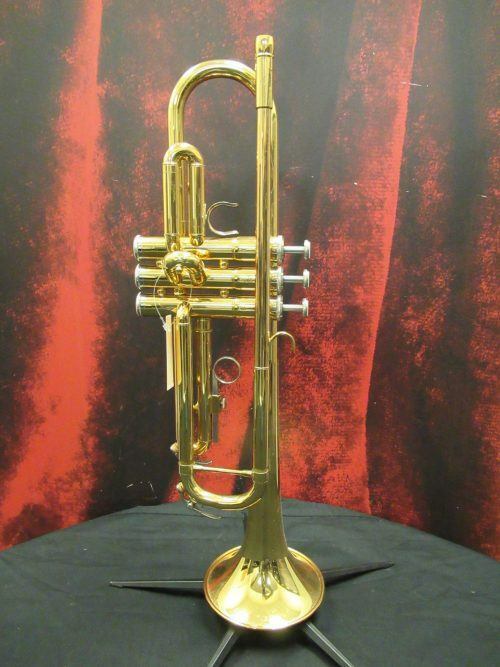 The AS300 is a part of Selmer's student saxophone line and is perfect for beginners or to be used as a marching horn. It comes with a polyfoam zip-up case.